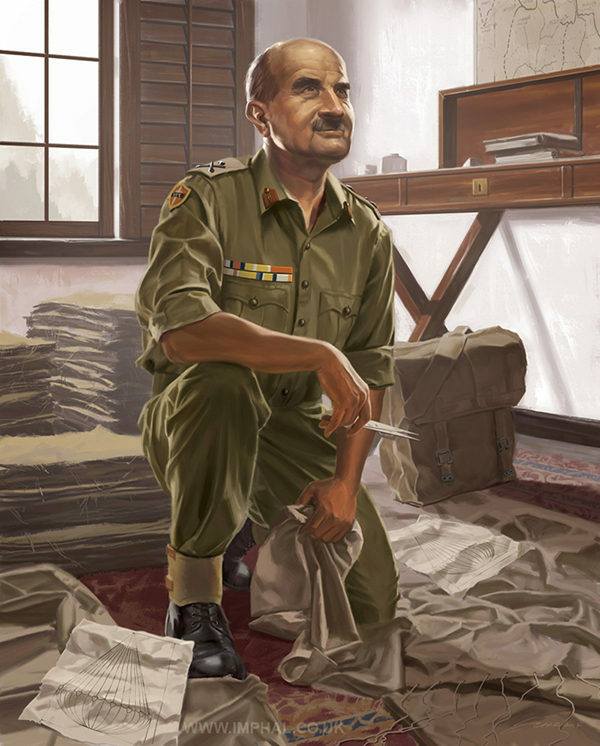 Late in 2016 I was commissioned to create an illustration of General Bill Slim in support of a much larger project entitled “Soldiers of Empires”. The project is primarily focused on the WW2 Burma Campaign and more specifically, The Battle of Imphal. In this illustration I was asked to portray General Slim creating parachutes out of cheap jute sacks as an affordable alternative to the more costly and less available silk parachutes of the time. Here’s a link for anyone who’s interested in reading about it further.